Are you looking for an MOT in Kidlington? Join FREE today to receive the latest offers from Summertown Garage. Summertown Garage is a long established and fully accredited garage that provides repairs, MOT, hybrid car servicing and air con regassing for customers in Bicester, Woodstock, Kidlington and Oxford. We are also an electric car garage too. At Summertown Garage we understand that a well run, professional approach is the only way to guarantee a consistently high level of service. 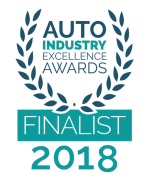 So if you are looking at garages for a car service or MOT in your area and wondering who to trust; why not find out more about our 5 star recommendations and Good Garage Scheme accreditation. Our customers rely on their cars all the time and day to day life without one can be hard. That’s why we organise our work load to make sure your car isn’t off the road any longer than it needs to be. Whether you book a car service in advance or need an urgent repair, we will do our best to keep to agreed timescales, and will always call with updates. Based in Kidlington, our electric car garage is equipped with all the latest testing and diagnostic equipment. We are your one stop shop for Oxford, Woodstock, Bicester clients and offer all our garage services at one location. Call us on 01865 379 550 or fill out our contact form. We carry out work on cars of all makes and models, and approach each job with the same high degree of care and precision. From Audis to Ford Fiestas, every task we undertake receives the same attention to detail and specialist knowledge. If we don’t have a part we need in stock, we are happy to order it in – all part of our tailored approach to customer service. We are RMI certified for MOT service but also supply tyres, wheel balancing, fitting, diagnostics and repairs. Our team carry out all MOT requirements and check your car to ensure it is in safe and road worthy condition. As the temperature rises in the summer, you may find your air conditioning system is not performing effectively. Air con regassing helps to keep your car comfortable no matter what the weather is doing outside. At Summer Town Garage Ltd, we carry out an affordable air con regassing service for customers in Oxford, Woodstock and Bicester. To discuss your air con regassing queries with one of our team members simply phone or click! At Summertown Garage we are proud of our reputation for excellent motor vehicle repairs, air con regassing, car servicing and MOT testing for customers in Kidlington, Bicester, Oxford, Woodstock and all of Oxfordshire.